KANSAS CITY, KANSAS (USA). The Department of Pathology and Laboratory Medicine at the University of Kansas Medical Center is seeking an academically oriented, board-certified anatomic pathologist with fellowship training in NEUROPATHOLOGY to cover neuropathology and autopsy service. Candidates with an interest or training in neurodegenerative research or additional fellowship training in surgical pathology are preferred. This is a full-time appointment at the Assistant, Associate or Professorial rank on either the tenured or non-tenure clinical track, depending on qualifications. This position also provides an opportunity to lead the Neuropathology Core for a nationally designated Alzheimer’s disease Center. The department is experiencing rapid growth and has established a subspecialization practice model. The Surgical Pathology section processes near 40,000 surgical pathology cases annually with a large case variety, including approximately 450 neuropathology cases. . KU Medical Center has an NCI-designated Cancer Center, a nationally-designated Alzheimer's Disease Center (ADC), and a National Parkinson Foundation Center of Excellence, which provide rich opportunities for clinical, translational research and collaborative research. The successful candidate should possess strong diagnostic skills in neuropathology. In addition to participate the diagnostic neuropathology service and autopsy service, the candidate will be expected to either join the neurodegenerative research in ADC, or participate in surgical pathology sign-out. The candidate is also expected to contribute to medical student, resident and fellow teaching and develop research projects reflective of his/her own interest. The applicants must have an M.D. or M.D./Ph.D. degree and be Board certified in Anatomic Pathology and Board certified or Board eligible in Neuropathology. Eligibility for unrestricted licensure for the practice of medicine in Kansas is required. A generous compensation and relocation package is available. Applications may be submitted at http://jobs.kumc.edu/postings/23126. The application should include a cover letter, curriculum vitae and the names and contact information of three references. To learn more about Kansas City visit: http://thinkkc.com. BALTIMORE, MARYLAND (USA). The Departments of Pathology and Neurosurgery, and the Greenebaum Comprehensive Cancer Center at the University of Maryland School of Medicine invites applicants with a M.D. or Ph.D. degree to apply for a full-time faculty position in the area of translational neuro-oncology research. The applicant should have evidence of scholarly achievement, to include a history of NIH-funded research, current NIH research funding and have experience in developing and translating their discoveries into novel clinical applications. The applicant will be expected to be active in the School of Medicine's teaching programs. Academic appointment and salary will be commensurate with experience. The School of Medicine conducts basic science research and clinical research targeting worldwide health problems, such as cancer, HIV/AIDS, neurological diseases, heart disease, kidney disease, high blood pressure, trauma, and psychiatric problems. Areas of research excellence include: AIDS/HIV, Aging, Bioterrorism Defense, Cardiovascular Care, Cancer, Community Mental Health, Diabetes, Disparities, Genomics, Infectious Diseases, Schizophrenia, Transplant, Trauma and Vaccines. BRONX, NEW YORK (USA). The Department of Pathology at Montefiore Medical Center, the University Hospital for Albert Einstein College of Medicine, Bronx NY, is seeking a full-time academic anatomic pathologist to serve as autopsy service director and participate in neuropathology and/or general surgical pathology services. The candidate should have an interest in autopsy pathology and have completed a neuropathology fellowship and/or have signout experience in general or subspecialty surgical pathology. The candidate will share 65,000 surgical pathology and 250 autopsy cases per year with an experienced neuropathologist and 22 surgical pathologists in a dynamic and collegial setting. The candidate will also participate in pathology resident and medical student education. He or she is encouraged to participate in clinical, translational or basic research in collaboration with clinicians and researchers in other departments. Applicants must have an M.D. or equivalent degree and have, or be eligible for a New York State medical license, board certification in Anatomic Pathology and, if appropriate, Neuropathology. CHARLOTTE, NORTH CAROLINA (USA). Carolinas Pathology Group (CPG), a large private subspecialty pathology group serving the Carolinas region since 1971 (www.carolinaspathology.com), is seeking a neuropathologist for position based in Charlotte, NC. CPG seeks a full-time AP/CP or AP only board certified pathologist with subspecialty training and certification/board eligibility in neuropathology. Additional expertise in another subspecialty area or general surgical pathology is preferred. The neuropathology service includes active participation in a busy multidisciplinary neuro-oncology program, interpretation of muscle/nerve specimens and evaluation of autopsy neuropathology. Other responsibilities include but are not limited to: participation in multidisciplinary conference presentations and collaboration with ongoing institutional clinical and translational research projects. Qualified candidates should forward a curriculum vitae, cover letter and professional references to hr@carolinaspathology.com. The Department of Pathology is searching for an academic neuropathologist with expertise in neurodegenerative disease research. This national search is being performed in coordination with an aggressive cross-college recruitment of neuroscientists studying Alzheimer's disease and traumatic brain injury. Strategically expanding its team research capacity in the area of Chronic Brain Injury, The Ohio State University's Colleges of Medicine, Engineering, Arts & Sciences and Nursing are recruiting tenure-track Assistant Professors or tenured Associate or Full Professors. These positions are part of an ongoing commitment to develop distinguished research and clinical care centers at The Ohio State University focused on aging and cognitive impairments. Seven of the 15 positions will collaborate closely with College of Medicine teams who are working on dementias, especially Alzheimer's disease. Candidates must hold an MD, PhD (or equivalent) with research expertise in areas directly related to dementia. In addition to a direct appointment in a Department, successful applicants will become a member of the university's Discovery Themes Initiative and a planned Alzheimer's Disease Research Center. Successful candidates are expected to contribute to the missions of the University, Department and Centers via active participation in research, clinical, and teaching programs, mentoring of trainees and serving on departmental or college-level committees. Salary will be competitive and commensurate with experience. The Ohio State University is committed to fostering a culturally and intellectually diverse environment, and encouraging all members of our learning community to reach their full potential. We are responsive to dual-career families and actively promote work-life balance to support our community members through a suite of institutionalized policies. We are an NSF ADVANCE Institution and a member of the Ohio/Western Pennsylvania/West Virginia Higher Education Recruitment Consortium (HERC). The OSUWMC is an equal opportunity, affirmative action employer. Women, minorities, veterans and individuals with disabilities are encouraged to apply. Work in one of the country's top health systems and receive a comprehensive compensation package including competitive pay and outstanding benefits. PITTSBURGH, PENNSYLVANIA (USA). 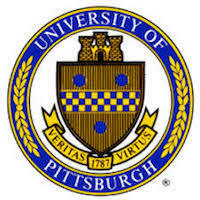 The Department of Pathology of the University of Pittsburgh School of Medicine will be seeking an academic neuropathologist for full-time appointment Open Rank (depending on qualifications) level (nontenure stream). The successful applicant will participate in our tripartite mission of clinical service, teaching and research. Neuropathology is an active service with a strong relationship with neurosurgery, neurology, neuroradiology, neuro-oncology and neuroscience. There is a full spectrum, high volume of clinical service activities divided between five faculty members. The Division has an abundance of clinical and research space and resources. The anatomic pathology facilities, including the faculty offices, sign-out rooms, conference rooms, gross dissection room and histology laboratories have been completely renovated and are thoroughly modern. The successful candidate should possess strong diagnostic skills, be capable of participating in the service responsibilities of a busy and state-of-the-art neuropathology service and have a strong commitment to an academic career including resident education (UPMC maintains a Neuropathology fellowship with four ACGME approved positions) and medical student teaching. Established diagnostic expertise, a record of scholarly publications and experience in translational research is highly desirable. Board certification in Anatomic Pathology and Neuropathology is required as is eligibility for unrestricted medical licensure in Pennsylvania. Academic rank and compensation will be commensurate with the level of experience and scholarly accomplishments. Applicants should email their CV and references to Dr. Clayton Wiley at wileyca@upmc.edu. "The University of Pittsburgh is an Affirmative Action Equal Opportunity Employer for Minorities/Males/Women/Vets/Disabled"